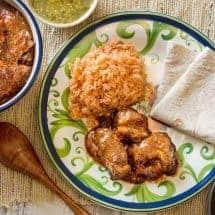 Carne Guisada | Authentic Mexican Taste Without All The Work! Carne Guisada has always been one of my favorite dishes to order at a Mexican restaurant, so I made my own version for the Instant Pot! It turned out fantastic and tastes absolutely authentic! 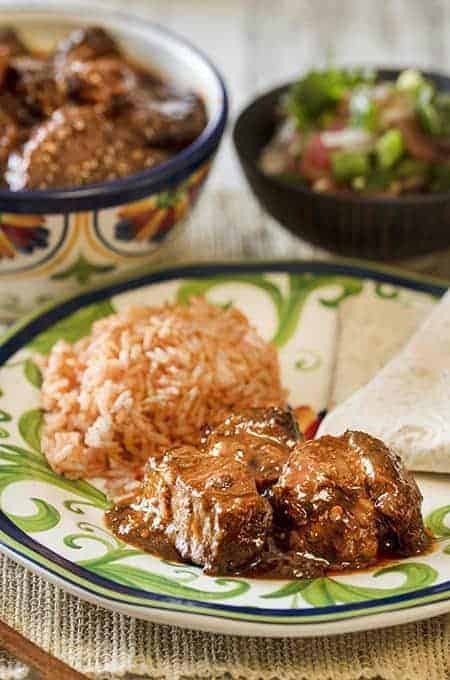 So I love Carne Guisada when I order it, and in full transparency, while three tasters said it was authentic tasting, of all the Mexican dishes I cooked this week, this one is possibly the plainest in my view. But it also disappeared the fastest, so maybe I’m wrong and you should just ignore me. What you want here is for the vegetables to melt down into a smooth sauce. I had to use an immersion blender for mine to do that. So what I did was left the meat in larger chunks, cooked it with the vegetables, took the meat out and blended the sauce, put the meat back in and thickened it. That game a relatively smooth sauce, without overcooking the meat. But the next time I made it, I blended the vegetables first, because picking the meat out was a bit of a pain. That worked much better. 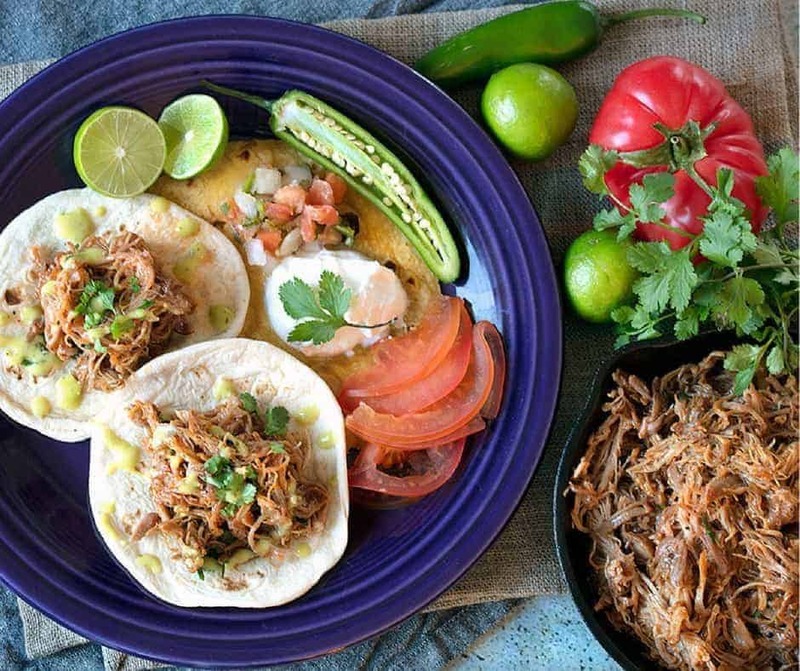 If you like Mexican, check out my Instant Pot Mexican Pulled Pork recipe! You can use it to make tacos, burritos or even casseroles. And if you’re looking for a great Mexican side dish, check out my Mexican Corn Eloté! It’s sweet, savory and you’ll want to eat up every bit of it! 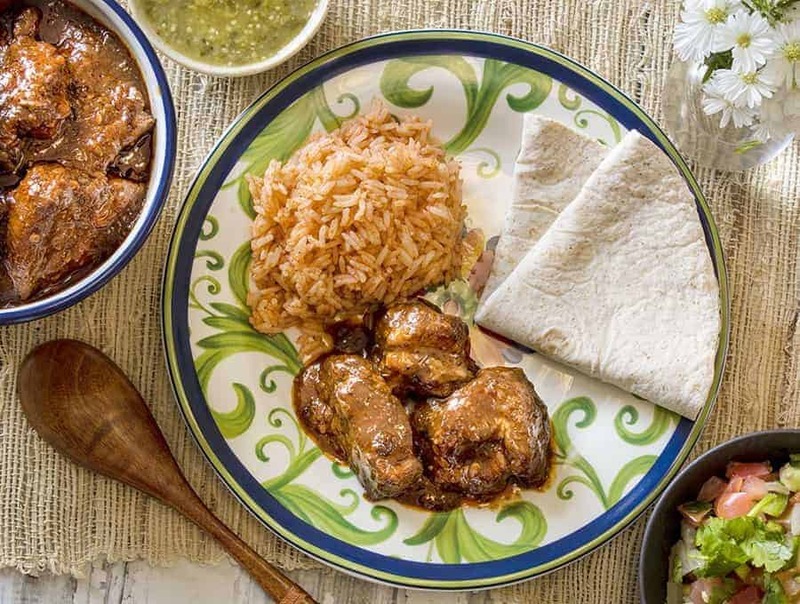 So the next time you’re looking to mix it up on Mexican night, give my Carne Guisada recipe a try! It’s deliciously savory, comforting, and it’s sure to be a hit at the dinner table. Carne Guisada has always been one of my favorite dishes to order at a Mexican restaurant, so I made my own version for the Instant Pot! Blend together everything but the beef, water, and corn flour. Place beef cubes into your Instant Pot and cover with the blended veggies. Use the 3/4 cup water to wash out the blender and pour that into your pot. Turn your pot on to Sauté and get the stew on a full boil. If you have a lot of liquid, boil for 5-10 minutes to reduce the liquid. Make a cornstarch slurry (mix the corn flour with some water), and pour it into the boiling stew and stir until it thickens. Can you double the recipe and cook for the same amount of time? I’m new to Instant Pot and just trying to learn how to cook with this new pot. Thanks in advance. Yes you can. No need to increase time under pressure. I like you idea of blending spices, veggies together. I will try this method tonight, but I’ll sear the meat first, and do 35 mins in IP, with slow release. My youngest daughter loves carne guisada tacos with cheese. I love carne guisada with fresh squeezed lime and pico de gallo. It says Corn flour at bottom of ingredients not corn starch. But then instructions say corn starch just FYI. Trying this recipe tonight and very excited. Smells amazing! Whoops! Good call out. I hope you like it! Thank you! I will go search and replace right now.